Looks the same to me but I could have missed something. I like the red!! The link I posted last week was from Suzuki's site. Those drawings or pictures always look goofy and the colors look different in real life. Found these photos and thought you could make the colors out better. For instance the blue, it looks a lot deeper and less "smurfish" in the photo. oh look, they put a S on the tank! that started in 05, you silly goose! The LE's got the "S" badge even before that. Think it was 04 and 03.
oh and they offer it "all black" how original and exciting! Some speculation that they (Suzuki) are just dumping parts because there will be a major change in 08. 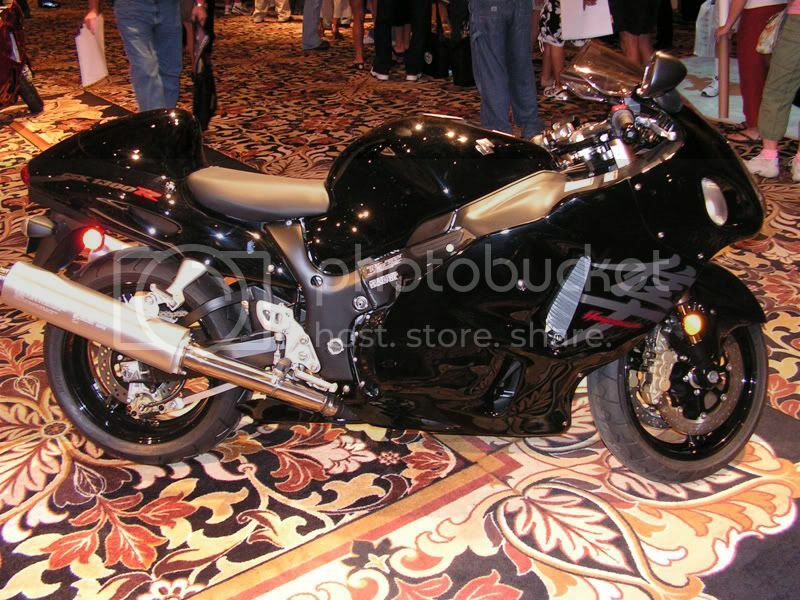 Regardless, I like the black but I like the way the busa looks...obviously.. 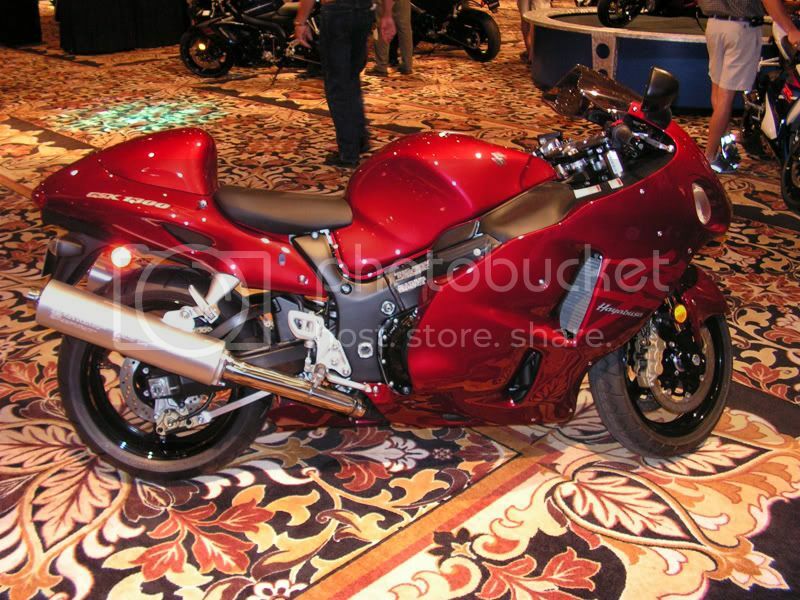 I seen something online a while ago about upgrading the busa to a 1400... what happened with that?? I will be back on 2!!!! 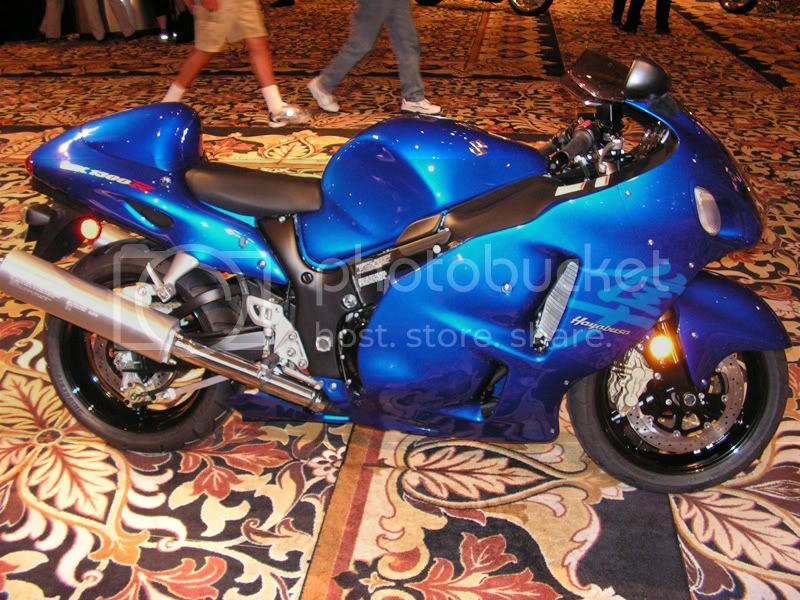 Yeah thought they were changing to compete with the ZX-14. Looks like the same bike to me. Last edited by ---> Venom <---; October 4, 2006 at 04:47 PM.. I heard that for the longest as well. I'm happy with mine and frankly wouldn't be able to buy a new one, even if it did improve/change. A lot of people are speculating that next year is the big upgrade year (of course they've said that for like 3 years now). I like the solid colors, though. If it was an option in 05 (other than the LE), I would have gone that route.